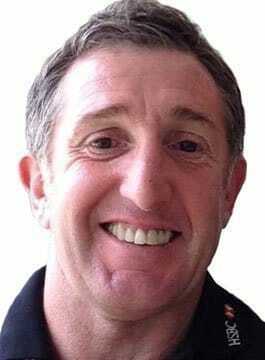 Jonathan Davies OBE is a Welsh Rugby Legend, Pundit, Motivational and After-Dinner Speaker. Jonathan was born in Trimsaran, Carmarthenshire in 1962. He started playing Rugby Seven’s at Primary School, and in 1974 played for the very first time at Cardiff Arms Park, when he was chosen for the West Wales Under 12’s. Jonathan signed for Neath RFC in 1982 and after 35 games for the club he was selected to play for Wales. His first game was in Cardiff Arms Park against England where he scored two tries in a Welsh victory. Davies was made Captain at Neath before being transferred to Llanelli. In 1988 he played a very important part in the Triple Crown success for Wales. In 1988, he switched codes, leaving Llanelli to play for Widnes. In 1991 he took on a further challenge when he spent the summer in Sydney playing for the Canterbury Bull Dogs, and in 1993 he joined Warrington. In 1995, Jonathan Davies returned to Wales where he joined Cardiff RFC, where he finished his club career in 1997. Between 1985 and 1997 he won 37 rugby union caps. Jonathan presents his own show on S4C’s ‘Jonathan’, a rugby-themed Welsh language chat show co-hosted with Welsh referee Nigel Owens. Now one of the BBC’s key commentators and analysts for Rugby Union and Rugby League, his distinctive voice, insightful intelligent opinion and genial demeanour are loved and admired by millions of viewers.